VERIFY was at the EGU General Assembly in Vienna, on 12th of April 2019, presenting the objectives and first results of the project, during the posters session "Science-based GHG Estimates in Support of National and Sub-National Climate Change Mitigation". 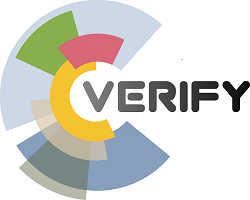 "VERIFY - A pre-operational system to provide regularly updated observation based estimates of national GHG budgets in Europe"
This project has received funding from the European Union's Horizon 2020 research and innovation programme under Grant Agreement number 776810. It is coordinated by CEA/LSCE.